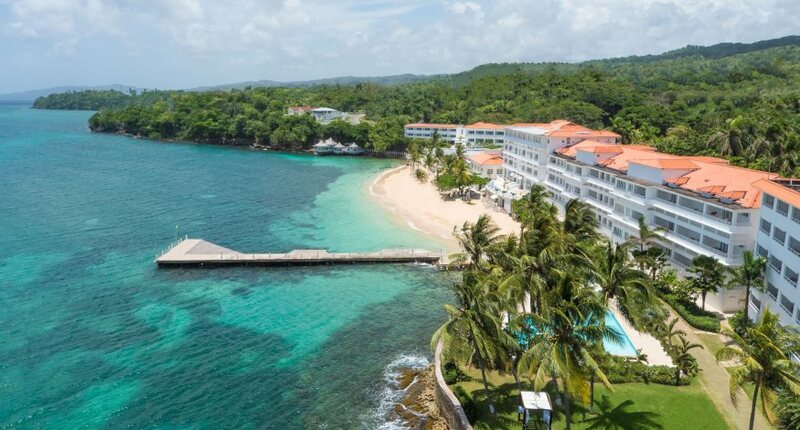 Couples Tower Isle is the perfect place for a romantic activity holiday in Jamaica. Golf, tennis and diving are all included, as well as a whole array of water sports from wakeboarding to Hobie Cat sailing (a Hobie Cat is a small catamaran, not a friendly cartoon feline). 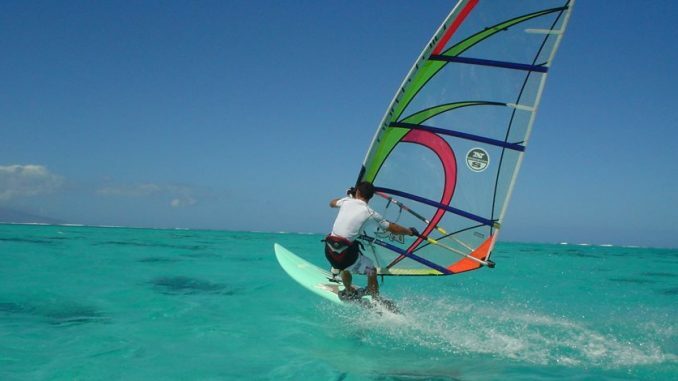 Windsurfing is also included, and Tower Isle benefits from a reliable Caribbean breeze that makes windsurfing a blast. State-of-the-art windsurfing equipment, life vests and lessons are available daily from 9 a.m. to 4 p.m.
Half Moon has one of the largest water sports programs in the Caribbean. Kayaks, pedal boats, standup paddleboards and snorkeling are all included, but you will have to pay more for windsurfing and all motorized water sports. The good news is that it’s fairly inexpensive (45 minutes of windsurfing costs $40) and you’ll benefit from the equipment and professionalism of the Water Sports and Dive Centre that works with the resort. 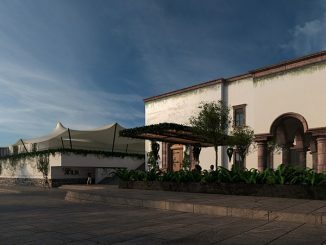 Landlubbers, meanwhile, will be happy to hear that Half Moon is also one of the best all-inclusives for golf enthusiasts. Antigua is blessed with steady winds, with the best windsurfing from November to February and June to July. 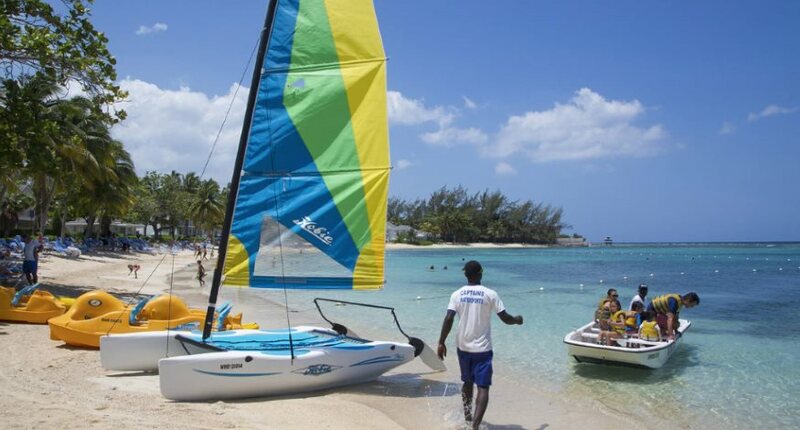 Nonsuch Bay is arguably the best all-inclusive on the island for windsurfing. The 40 Knots Kitesurfing and Windsurfing School, which operates from the resort beach, provides tuition, equipment and support for windsurfing, kitesurfing and kiteboarding, all available to guests for a small additional fee. 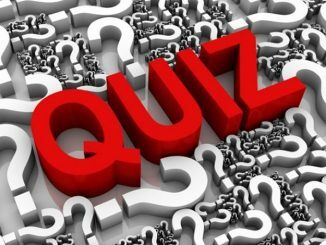 Conditions are typically varied at any given moment, so both beginners and experts can find the perfect spot to suit their abilities. Barack Obama and Sir Richard Branson went kitesurfing together in the British Virgin Islands in February 2017, which is a pretty good combination of rich and famous. 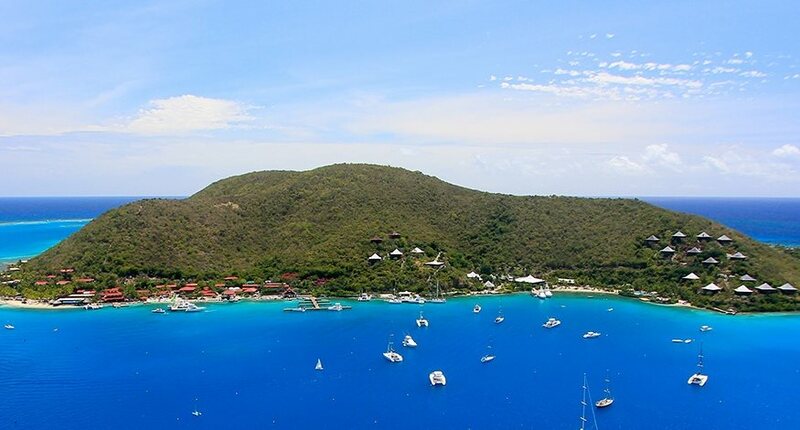 Holidaying in the BVI also offers excellent windsurfing, with more than 50 small islands to weave around and explore. And while it may sound like the Grim Reaper’s preferred holiday destination, the Bitter End Yacht Club is the place for water sports (and who says Death don’t surf?). With near-constant trade winds 250 days a year, the North Sound and Statia Sound are consider among the best windsurfing spots in the world — and both are easily accessible from Bitter End. The Dominican Republic has great conditions for windsurfing, and the resort town of Cabarete has a global reputation among in-the-know windsurfers. The wide variety of windsurfing conditions here means you can always find shallow areas for beginners, as well as spots for more advanced windsurfers to slalom, wave sail and jump. 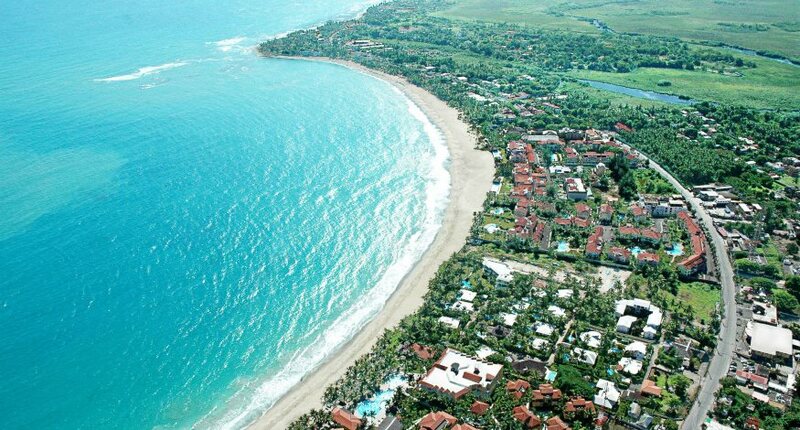 Now you just need somewhere to stay, and the all-inclusive Viva Wyndham Tangerine sits right on Cabarete Beach. Even better, windsurfing is included, along with a huge array of other activities on land and sea. 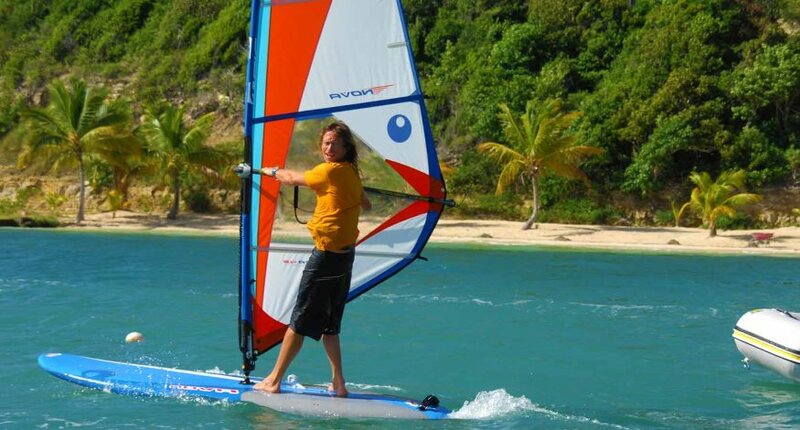 According to Boards Windsurfing Magazine, Tobago is the best all-round windsurfing destination in the Caribbean. 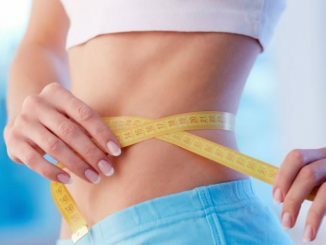 It’s perfect for all levels — from novice to expert — making it an excellent family option. 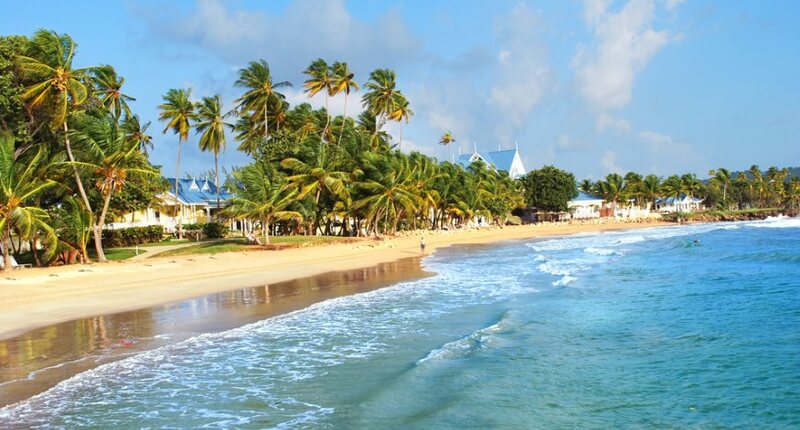 For an active family holiday in Tobago, the Magdalena Grand Beach & Golf Resort is a fine choice. Windsurfing isn’t included, but the full-service concierge desk can arrange windsurfing at the nearby Pigeon Point Beach. The peak season at this windsurfing hotspot runs from the middle of December through to June. If you’re a family of beginners, then the July to December off-season will be calmer and less crowded, and therefore ideal for learning how to windsurf.